Yet the UK Border Agency is carrying on its business as usual, illegally denying asylum claims and deporting as many refugees as it can, as quickly as it can, in hopes of avoiding public campaigns such as this one. 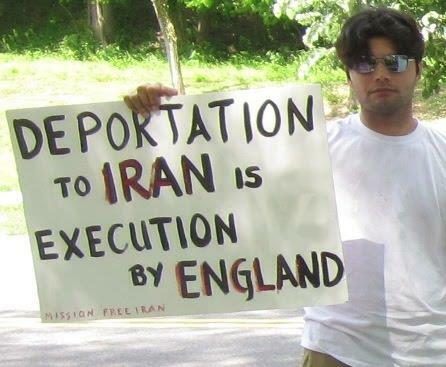 However, the British government’s practice of illegally deporting Iranian asylum-seekers back to a regime that has been condemned at the UN, by national governments like Norway, and by organizations like Amnesty International for its political repression of the population and its ongoing wave of executions leaves the UK open to prosecution in international court. The Chief Prosecutor of the Islamic Republic, Mohsen Eje’i, among others, has explicitly linked Articles 4, 5 and 7 of the Islamic Penal Code to severe consequences for Iranians who have sought political asylum abroad. As such, any Iranian seeking political asylum in another country is de facto subject to prosecution – hence persecution – by the Islamic Republic regime. It is thus clearly illegal under jus cogens international law to forcibly deport an Iranian political asylum-seeker back into the hands of the Islamic Republic. To add injustice on top of injustice, three of these young men, after having fled the barbarity of the Islamic regime only to be met with the brutality of the British government’s denial of their rights, have also been subjected to thuggish attacks by the public in Croydon; one person attempted to murder them by setting their tent on fire with the refugees inside, while others have thrown bottles at them. 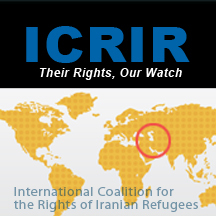 ICRIR demands that the rights of these refugees to asylum and protection be upheld; their formal refugee status should be conferred, and they should not be forced to live in fear of refoulement to Iran. Given the explicitly-stated intention of the Islamic Republic to prosecute Iranian political refugees on the basis of the Islamic Penal Code, it is clear that nothing less than conferring prima facie status for Iranian refugees is acceptable. We encourage Iranian refugees whose rights are violated to protest publicly and without self-harm. The strongest advocates for refugee rights are refugees themselves. Their strong voices must be heard, and if they silence themselves through self-harm, they lose those the power of those voices. Refugees in need of assistance should contact refugee rights advocacy organizations for assistance in bringing attention to their cases and ensuring that their rights are upheld. Sign the petition for the Iranian refugees in Croydon.